Lee-anne Knight joined Salesforce in 2010 and during her time at Salesforce has performed a number of roles across both APAC and EMEA. Initially part of the Strategic Services group, Lee-anne was responsible for defining and leading key customer solutions in both APAC and EMEA. From 2014 she joined the Salesforce Ignite team (Strategic Innovation), tasked with fostering innovation, transformation and disruption at key customers across EMEA. 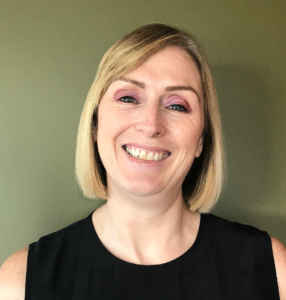 Lee-anne left Salesforce at the end of February 2017 to return to Australia to lead one of the ANZ Partners, before returning to Salesforce in November to develop and lead the Partner Solution Engineering group across APAC. Lee-anne has more than 25 years of technology, CRM domain expertise, business consulting, program delivery, innovation and change experience and has deep experience in the Financial Services, Retail, Consumer Goods and High-Tech industry. Lee-anne is passionate about innovation, developing people and helping people and companies to think differently. She coach’s and mentors several people both within and outside of Salesforce and spends her foundation time focused on STEM/Women in technology and animal related causes.